It's hump day. We're getting there. To spruce up today let's look at something pretty, some unexpected florals. The following florals are modern, cool, sophisticated and not your mom's Easter floral. 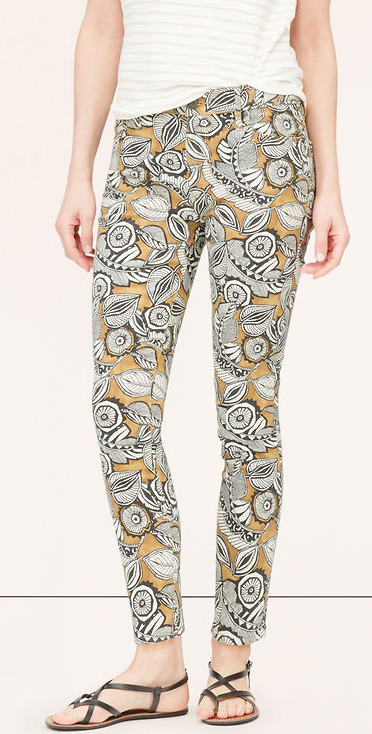 The exposed front zipper gives this pretty print some edge. Told you these were a different kind of floral. 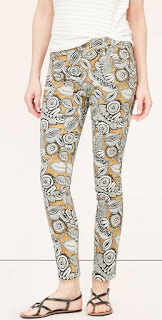 I love the mustard with black and white on these jeans. The best part about this dress isn't the floral, it's the epic orange stripe down the sides. So chic. 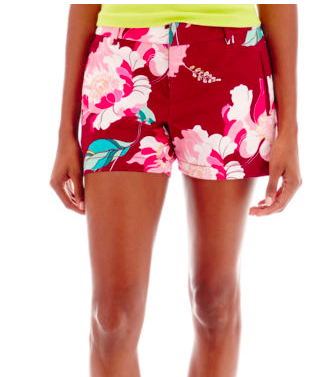 A bright pair of shorts are going to get a lot of wear this summer. And the price is right. The right floral will do wonders for your wardrobe and these options are quite lovely and unexpected. Try a floral in more than just a Sunday dress. Wear it to work, add tasseled jewelry for date night, you name it, the floral will help.